 Since more than 20 years Massarbeit belongs to the leading personnel service providers in the region. You find our offices in the south of Germany in Ulm and in Biberach. We have long-standing contacts with multinational and medium sized companies in our region from different branches. We search constantly engaged skilled workers and assistants in different areas, particularly welder, industrial mechanics, car mechanics, carpenters, service/ field technicians. You find our current job offers in “Jobs”. We support you in the preparation of your application. In order to work in companies in our region it is necessary that your German knowledge corresponds to the competency level of B1. Once we received your documents we will check them carefully and contact you as soon as possible. Are you an engineer or do have a business-management background? Please visit PNM. Recruiting. Consulting. There you find information, contacts and jobs from these areas. Are you interested in one of our job offers and would like to learn more? Please contact us – we will be happy to advise you.